Schedule an in-store Quick Sketch appointment with our landscape designer, Tracy. During this 20-minute meeting, you will need to bring in 4-5 pictures of the area, approximate measurements in feet (20′ x 10′ max), and note how much sunlight the area gets. For just $25 you will receive a drawn plan PLUS a $25 gift card to get you started on your project! LIMIT ONE APPOINTMENT PER DAY: Due to overwhelming interest and limited appointment times, please only select one appointment time per day so that we can accommodate as many customers as possible. If you have multiple areas that you need assistance with, please call to book an at-home landscape design or consultation appointment instead. 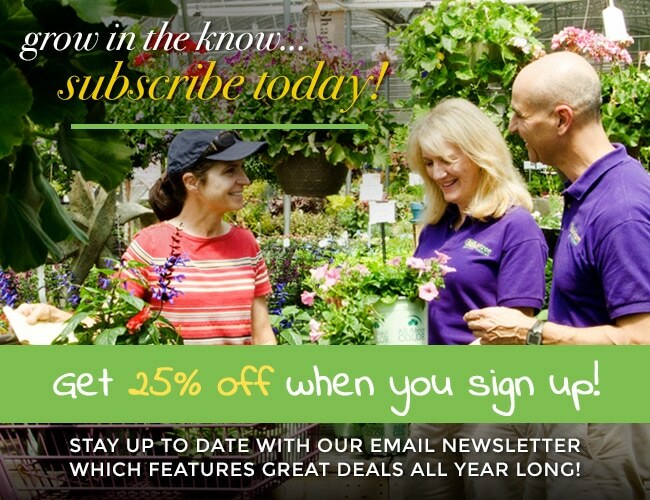 Remember, landscape design customers will get to take 15% off landscape plants for 6 months after the home visit! DOUBLE CHECK YOUR DAY/TIME BEFORE BOOKING: Please make sure you are booking the correct day and time BEFORE you pay for your appointment online. The day/time you are booking is listed on the top and to the left side of the scheduling page. If you accidentally book the wrong day/time, we will ONLY be able to cancel/refund the appointment, but will not be able to reschedule it for you. Please Note: This page is manually updated every few days, so some links might still be live, but the times may have been booked. If you click on a link and it says “Registration is Closed,” that means it is already booked and you will need to pick another day/time. If you have any trouble booking an appointment, please come into the store and a cashier can book it for you. Thanks! All appointments are booked for this date.